IN HIS ROOM: Brian Wilson, reticent in interviews, says touring is getting easier. Has Brian Wilson conquered his demons to make a full comeback? I've barely said hello to Brian Wilson, trying to ease into a telephone conversation I've approached with anticipation and a measure of unease. But he is clearly raring to go. This is a bit of a surprise. Wilson, of course, is the man who wrote and arranged the great Beach Boys songs, from "Surfin' USA" to "California Girls" to "Good Vibrations" and dozens more. But anyone familiar with the band's history also knows that the stress from trying to top those successes—along with strife among the Beach Boys and Wilson's own drug abuse—triggered a major emotional and psychological breakdown that kept Wilson out of the public eye for many years. He began to re-emerge with a pair of uneven solo albums in 1988 and 1998, which offered welcome but intermittent glimpses of Wilson's surviving musical gifts. Even after he began a schedule of rapturously received occasional live shows, there were few hints of the minor miracle he would deliver in 2004, the completion of the long-lost Smile album, his ambitious, aborted follow-up to "Good Vibrations." Wilson even toured extensively behind it, with a large, impressively skilled and attentively supporting band surrounding him onstage. Yet the big, affable guy at center stage seemed at times to be confused and tentative, carried by the other musicians more than leading them. I wonder if—or how much—that has changed in the intervening seven years. So we open with a softball question about what's happening in the studio where I've reached him. "We're working on some stuff in Chicago now," he answers forthrightly. "Some songs, some tracks." No further details follow. Turning to his current tour, which stops at the Uptown Theatre in Napa on Aug. 25, I ask Wilson if he is now enjoying performing. "I don't know about enjoying it. I have a lot of fun," he answers. "The travel part of it is OK now. It was pretty rough before, but it's getting better. "I've gotten myself together; I'm more into it now." It must be a challenge, I offer, to assemble a set list from all the hits, album tracks, oldies and new material in his catalogue. "Oh no, that's the easiest part of all," he replies. "The hard part is doing the songs. The easy part is deciding which ones we want to do." Why is performing them hard? "It's not hard," he snorts. "It's just an experience." He's more forthcoming about his most recent release, Brian Wilson Reimagines Gershwin, an unlikely but intriguing merger that he says was instigated by the late composer's heirs. "They came to me and said, 'Brian, would you like to do an album called Wilson Sings Gershwin?' I said I sure would, yes absolutely. So we learned 14 songs and we went in the studio and we cut 'em all. We tried to make a Beach BoyGershwin combination." It was an ideal fit for his usual composing method: "Well, first comes the chords, then the melody, then the words." But those soaring signature harmonies, he reveals, come bit by bit. "I hear it bar by bar. I can't hear it all in my head." The interview is over in under nine minutes, the questions answered willingly but briefly, with virtually no depth or reflection. It's clear from his latest recordings that Wilson's musical gifts remain accessible and vital. He justifiably retains pride and takes pleasure in his classic tunes, readily identifying "God Only Knows" as his favorite Beach Boys song. But when I ask, why that one? "I don't know," he shrugs. "I just like the sound." 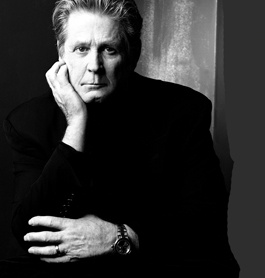 Brian Wilson performs Thursday, Aug. 25, at the Uptown Theatre. 1350 Third St., Napa. 8pm. $65-$75. 707.259.0123. www.uptowntheatrenapa.com.